Voquent is an international online voice over agency and audio production company. Based in London, with studio partners worldwide. 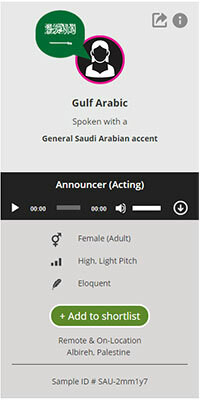 We help customers to find voice over talent, voice actors and narrators and produce captivating performances in any language or accent for all types of projects. We're passionate about voice over services and we love helping our customers to find professional voice over actors that fits the project brief and budget. Find a professional voice over artist online and get the audio fast. We know you're in a hurry and Voquent will save you time in your voice over search. Each voice sample is distinct, an exact match to your search. You're never forced to listen to audio that isn't relevant. Quickly cut through the noise to find the voice in your head. Shortlist voice over actor demos and contact us for auditions or a quote. Voquent provides agencies, actors, presenters and full or part time voice artists with a free marketing channel to secure more voice over work. You don't need your own professional home studio, as long as you have access nearby. It's free to sign up and host your samples. 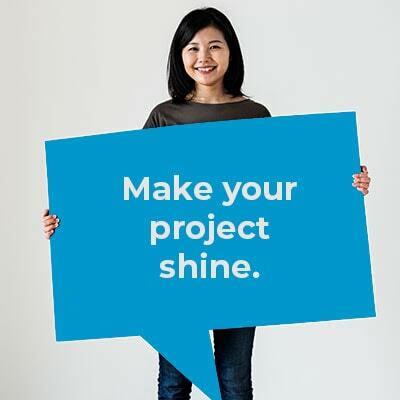 If you're shortlisted for a project we'll be in touch to check availability and rates. Easy. We can help you to get cast for commercials, video games, animations, corporate projects and more.